The "Overcoming the Odds Summit" held on Saturday, July 28, 2012 at the Auburn Avenue Research Library was a huge success. Eleven organizations participated in the summit with approximately 103 persons in attendance. In addition to the film, workshop, empowerment panel, open forum, and exhibitors, 22 persons were tested for HIV, approximately 30 were screened for blood pressure and cholesterol, and 12 persons were registered to vote. 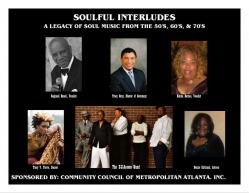 The Soulful Interludes concert was held at College Park Auditorium. A full-day conference for men that provided workshops, forums, vendor exhibits, a job bank, a provocative drama, lunch and other resources. 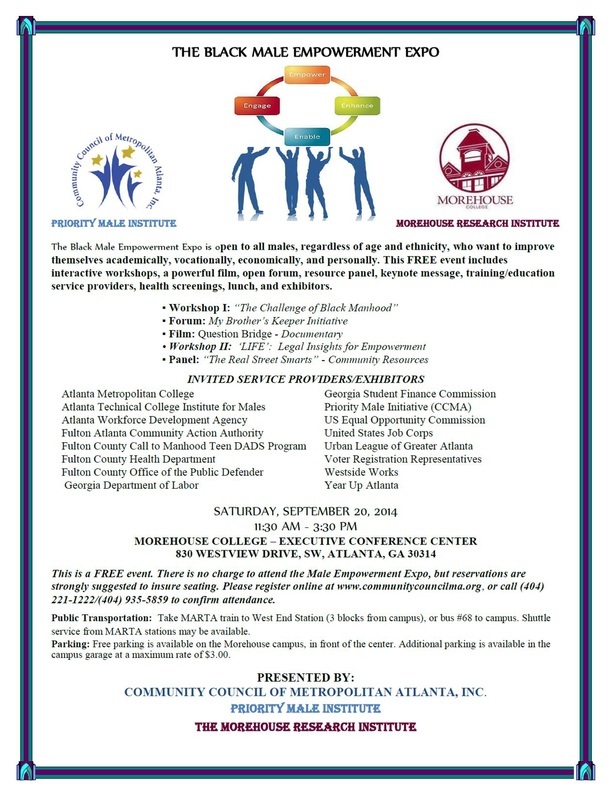 Morris Brown College co-sponsored the 2009 PROPEL Conference. 2009 Partners included local businesses and public and private organizations. Approximately 340 persons attended the conference.